2014 – The Year of Category Dojo! Before we begin, Happy New Year and welcome to 2014! We marked the end of 2013 with the launch of another innovative product, Category Dojo. We literally had clients queuing up to use it, which added to our excitement about this latest addition to the Dojo portfolio. 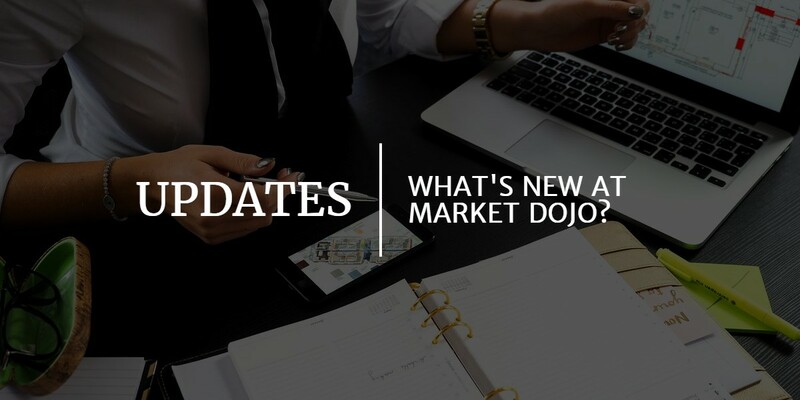 The growing Dojo brand: Market Dojo, Innovation Dojo and now Category Dojo. What’s in store for 2014?! In the same vein as Innovation Dojo, Category Dojo was the beneficiary of a Technology Strategy Board grant in recognition of the disruptive and innovative nature of this SaaS (Software as a Service) product. We commenced the project back in November 2012 via a series of brainstorming workshops with an ensemble of our clients, prospects and partners. They greatly helped us to refine the scope and behaviour of the tool for our skilled UK-based development team to proceed with. Fast-forward 12 months of intensive design, development, testing, performance loading etc. and we had our beta version on the web in November 2013 for our first intrepid clients to start using in earnest (case studies to follow!). But what does it actually do? 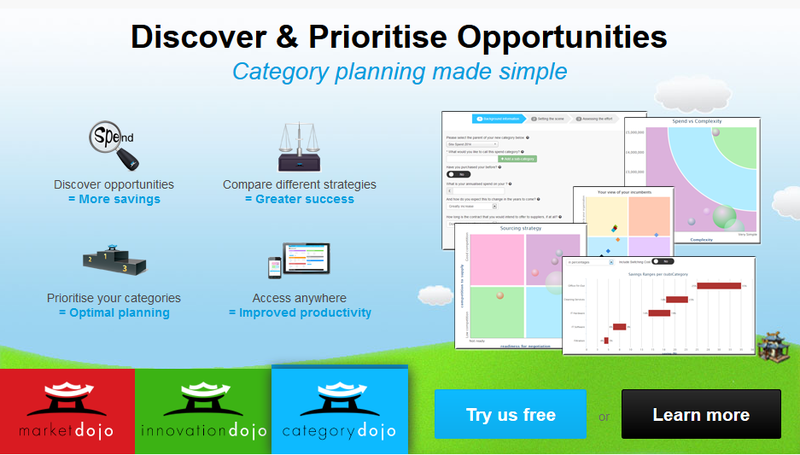 Category Dojo helps organisations discover, compare and prioritise their procurement opportunities. Public or private sector procurement teams use it to gain valuable category insight to feed into their procurement strategies. It will allow Procurement to consistently address more cost reduction opportunities and reduce the time taken to compile and manage category plans. 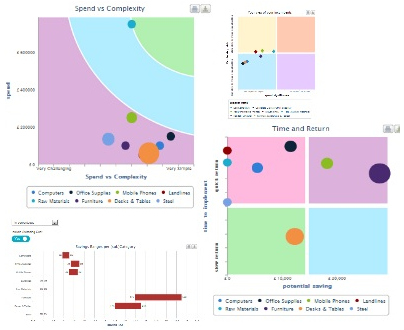 Think of Category Dojo as the missing link between spend analysis and e-Sourcing, i.e. opportunity assessment, a vital piece in the procurement process to ensure optimal results are achieved. Some of the reports from the tool include Savings Expectations, Time vs. Return analysis, Spend vs. Complexity, a Power Balance of your key incumbents, and even a bespoke Prioritisation report based on your own criteria and weightings. Best of all the tool is completely integrated with Market Dojo (single sign-on, shared database etc.) 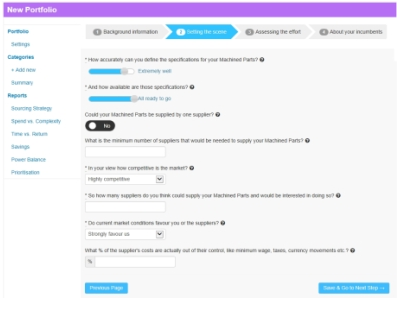 meaning you can assess a spend category in Category Dojo and, at the hit of a button, create a linked sourcing event in Market Dojo, with the progress report tracked in Category Dojo vs. your expected outcomes. The beauty of Category Dojo is that is actually very simple to use; the complexity lies within the algorithms that we’ve designed, a bit like Coca-Cola and their secret blend of ingredients if you will! Create a portfolio of spend, e.g. ‘Procurement Budget 2014’. State whether or not your organisation is subject to OJEU procurement directives so the tool knows your limitations. Then enter your spend categories by taking them through a series of questions either at high level or to a very specific sub-category level. These questions range from the annual spend and contract end date to understanding the supply market and how much of the suppliers costs are outside their control. Once you’ve entered some (sub)categories, it’s time to run the algorithms to produce the reports. 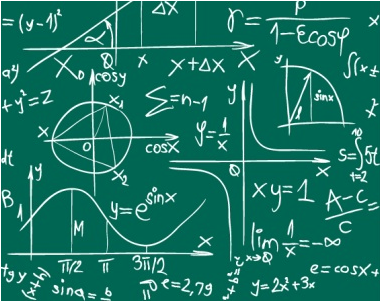 The algorithms are currently empirical, meaning it works by analysing the trends across your various answers. Some of our clients have added over 40 spend categories to their Portfolios, so they can instantly see how each of their spend categories compare and contribute to their overall plan, something that previously would have been a very painful task. Navigate through the various reports. We even offer a couple of the reports for free, such as the Spend vs. Complexity and the Sourcing Strategy (route to market) reports. However, once you’ve purchased a licence for the software, you can access all the reports and add in an unlimited number of spend categories. You can even clone your categories to help repeat the programme the following year. Sounds intriguing, how much does it cost? True to the innate philosophy of the Dojo business model, we offer Category Dojo on a flexible, affordable and transparently priced basis. You can find our pricing on the website. It costs just £1000 per annum per ‘user’ that wishes to create categories in the tool, and rapidly decreases per user as you purchase additional licences. However, you can start off with the free reports before taking the plunge on the full version. Hit the Sign Up button to start your free trial and don’t forget to let us know what you think!